Eaglemoss - Makers of well over a hundred model Star Trek starships, and a myriad of other collectables series based on various film, TV, and comic series - Are about to launch another ship collection, this time based on Battlestar Galactica. 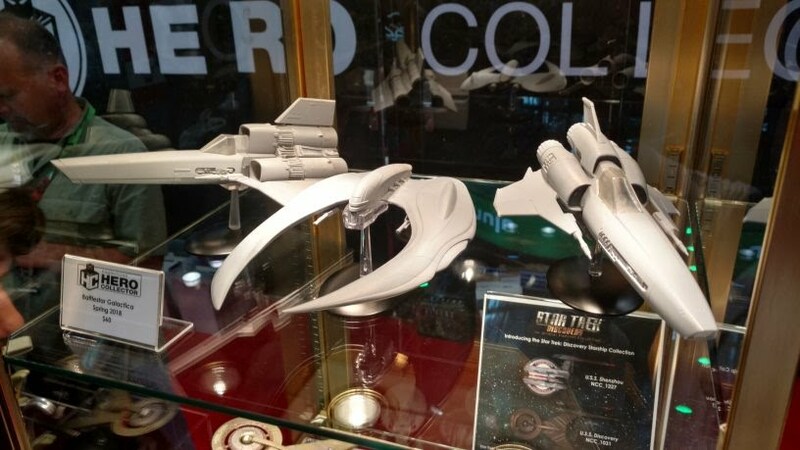 The series, Battlestar Galactica: The Official Ships Collection, will feature designs from both the original series, and the 21st century remake, which are being produced at a larger scale than the main run of Star Trek ships, more akin to the special size from that series. 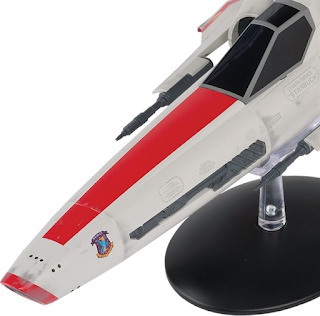 The first ship in the series will be a Mark II Colonial Viper, the newer series' take on the classic Viper design. 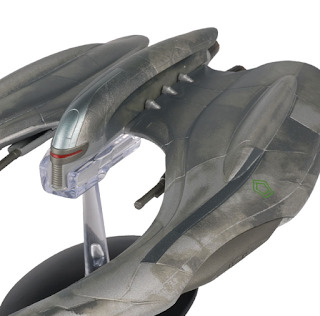 The Eaglemoss online shop just recently added a listing, showing off the model in all it's glory for the first time. There are also a couple of detail images, cropped in from the same main image. Plus this description of the model and accompanying magazine. The first model to join the new Battlestar Galactica Ships Collection is the superiority fighter Viper Mark II ship, which appeared in almost every episode of the famous 2004 Battlestar Galactica television series. 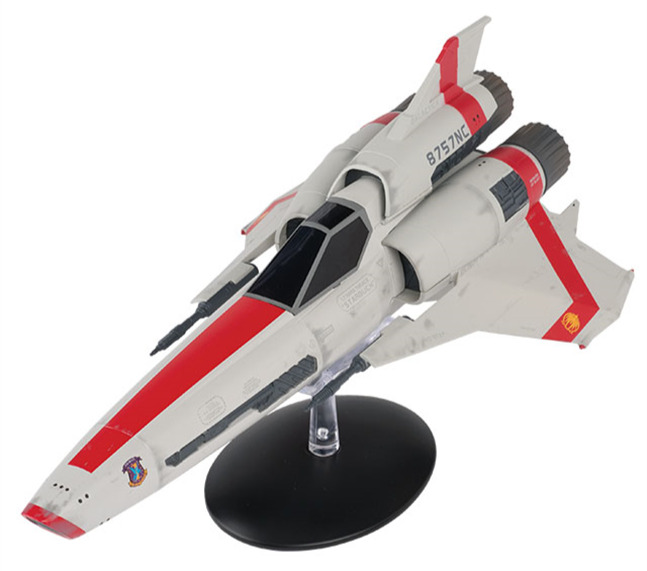 Launched from Battlestars, the Viper Mark II was instrumental in the First Cylon War before being replaced by newer models. A squadron of the Mark II Vipers remained on board the Battlestar Galactica and was re-activated to defend the Galactica during its four-year journey to Earth. 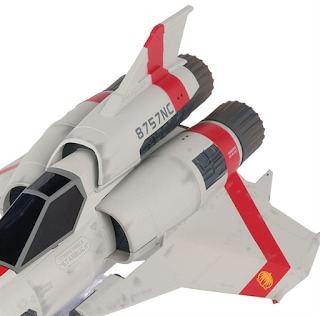 This long, sleek Battlestar Galactica Viper Mark II Ship measures 22 cm long, brought to life in die-cast metal and high-quality ABS materials. 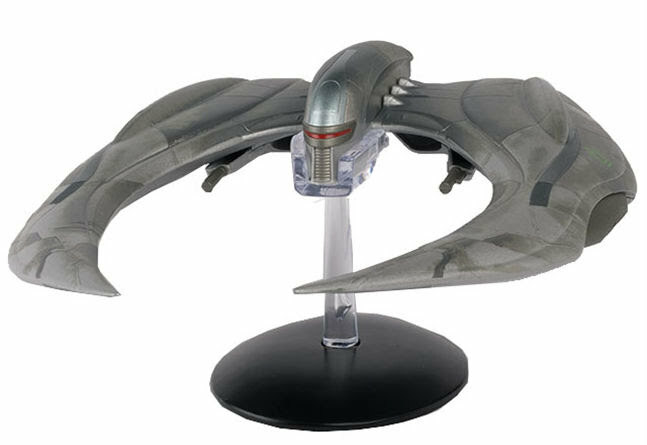 We have worked closely with members of the modern Galactica VFX team to ensure that this model is accurate as possible. 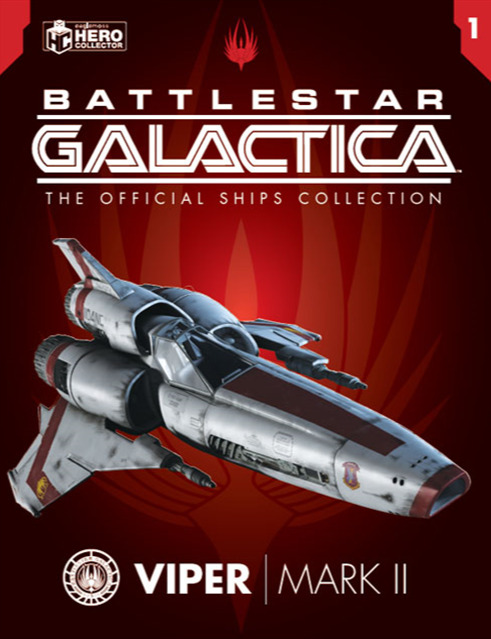 Complete with a collector's 16-page magazine that provides an in-depth profile of the ship, exclusive behind the scenes articles, with original design sketches and features an interview with Executive Producer Ronald D. Moore. This first issue is expected in March, and on the Eaglemoss website (UK version), you can currently join a waiting list to order it. Alternatively it is also available to pre-order from Entertainment Earth and Forbidden Planet. 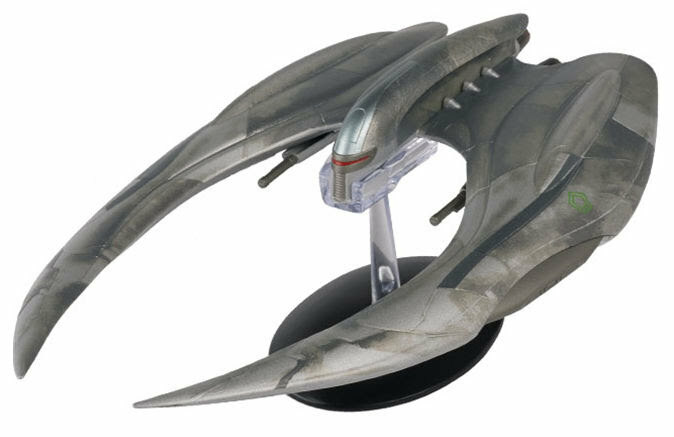 UPDATE: And Eaglemoss have now listed issue two as well, the Cylon Raider from the newer series, which looks like a great model! This one has a release date in June noted; so if the series follows that sort of two monthly release period the higher price point for it's larger models shouldn't hurt too much! The second model to take flight from the Battlestar Galactica: Official Ships Collection is the sleek and deadly Strike Interceptor of the Cylon fleet, Cylon Raider as know as the sparrow. 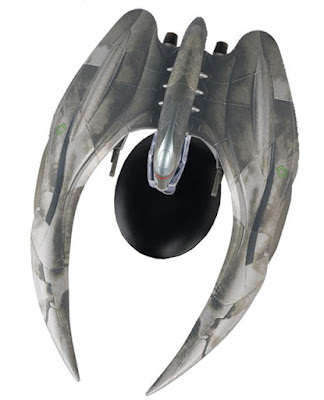 The Raider is the primary attack fighter used by the Cylons. Modern Raiders are cybernetic, living creatures with a complex system of organs, veins and fluids inside the main body. They can be killed but can also be reborn, meaning that experienced MODERN CYLON RAIDER combat ships are quickly available for duty again. This Battlestar Galactica Cylon Raider Ship measures approx 25 cm long and is brought to life in die-cast metal and high-quality ABS materials. Its sleek design means it can speed past nearly all enemy ships and hunt down slower ships as well as dodge bullets in firefights. The ship comes complete with a 16-page collector’s magazine providing an in-depth profile of the ship, exclusive behind the scenes articles, original design sketches, and an interview with series developer Ronald D. Moore. Is this the new Jurassic Park? Jurassic World trailer, stills, and more!